Nelson and Colne College’s next Year 11 Open Event will take place on Monday 5 November – and it is another great chance to gain a feel for life as an NCC student. Visitors can find out about the wide range of options available to study at NCC – including more than 30 A Level subjects, a variety of high quality, career focused vocational programmes and Apprenticeship opportunities in a broad range of different sectors. Information on travel arrangements to and from College and the support available to students at NCC will also be available on the night and visitors will also be treated to a range of Bonfire Night themed goodies. 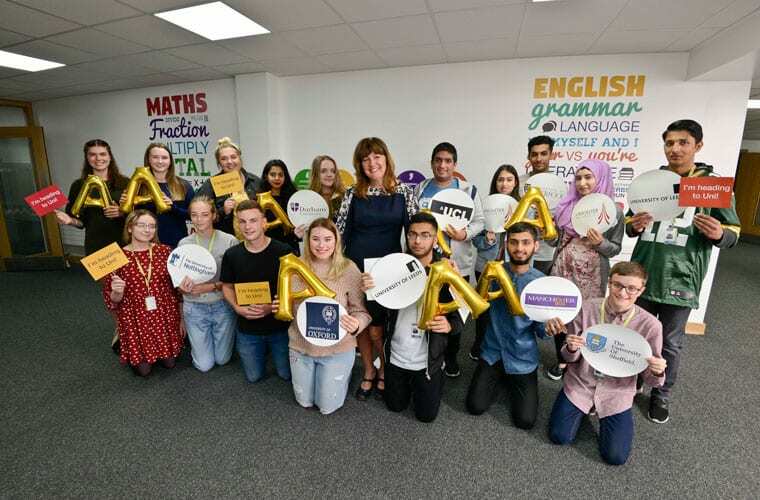 Former Pendle Vale College student, Umar Ashraf, 19, achieved A*A*A in his Business, Mathematics and Chemistry A Levels at NCC and progressed on to the University of Manchester to study Accounting and Finance. Umar, who is pursuing a career in investment banking, said: “I chose NCC because my sisters came here and they went on to do well in teaching and pharmacy. Georgie Holt, 17, who is completing an Apprenticeship in Fitness Instructing at Oakhill Leisure said: “Through my Apprenticeship, I have gained qualities which I can use now and in the future. I have also gained a lot of experience within the workplace, which has developed my confidence when dealing with people. Samah Ahmed, formerly of Sir John Thursby Community College in Burnley, achieved Triple Distinction* in Applied Science (Medical) and progressed on to Lancaster University to study Biomedicine. Samah, 20, said: “I would recommend NCC to others as the teachers are always there for you when you need help. I have enjoyed my time at the college as I received great support that allowed me to achieve Triple Distinction*. Principal Amanda Melton said: “Our second Open Event at Nelson and Colne College is another fantastic chance to showcase our superb provision for those prospective students who could not make our October event, but also for those who wish to come and explore their options again. “Our career college ethos is designed to get students ready for their futures. One in five of our leavers progress on to Russell Group universities – the best in the country – or into highly competitive Apprenticeships or excellent job opportunities.